Why did God put you here? If at this time you say nothing, then help and salvation will come to the Jews from some other place, but you and your father’s family will come to destruction: and who is to say that you have not come to the kingdom even for such a time as this? 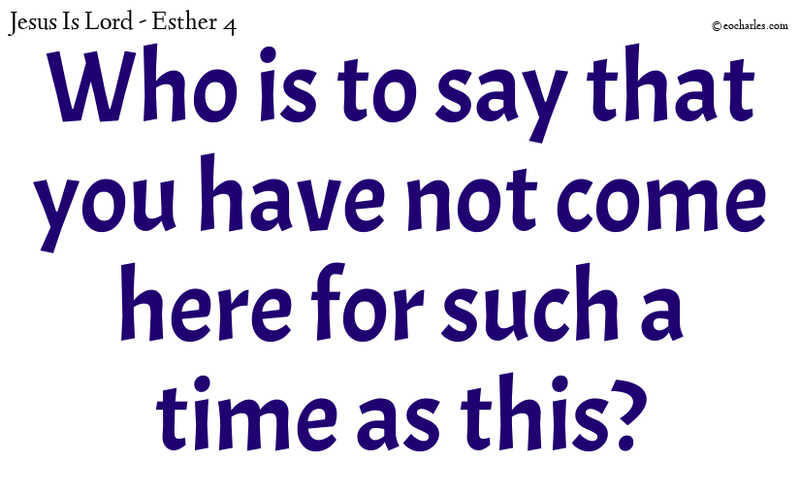 Format QuotePosted on March 29, 2019 March 30, 2019 Author Errol CharlesCategories Daily Reading, Esther 4Tags Why did God put you here?